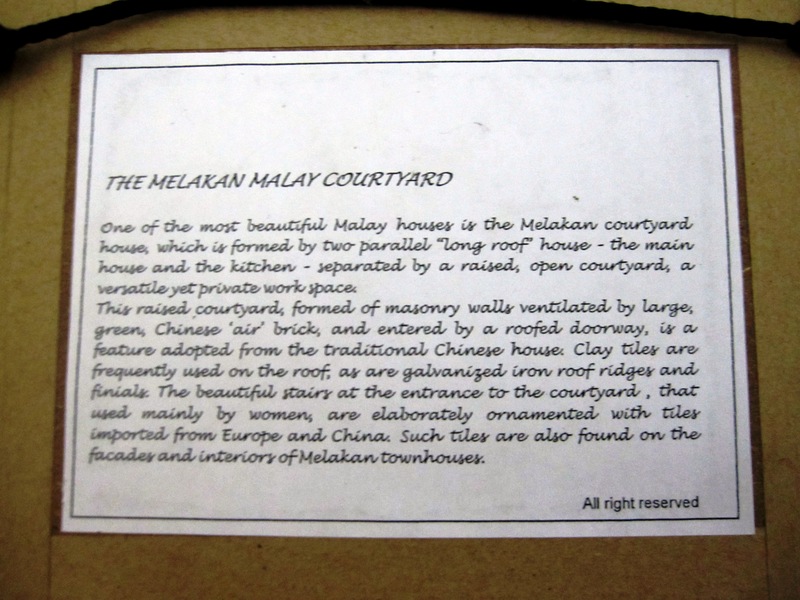 Along Temple Street in Melaka, Malaysia there sits a long-haired Chinese-Malay looking man who introduced himself as Mr. Ho. He seems to enjoy smoking cigar from a classic looking wooden pipe during what seem to be a lazy afternoon in Melaka. 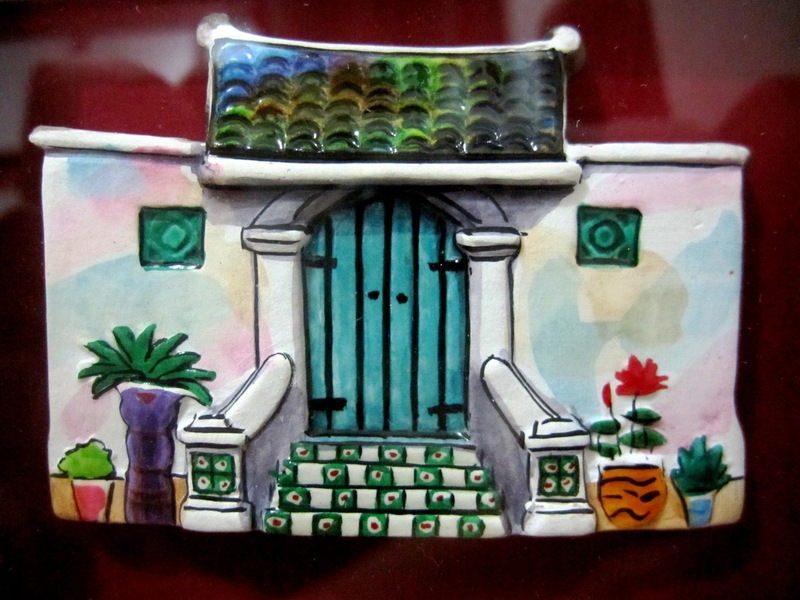 While smoking from his pipe, he paints on ceramic tiles that depict colorful mini-replicas of antique European china as well as artistic facades of mansions and colonial buildings found in Melaka. 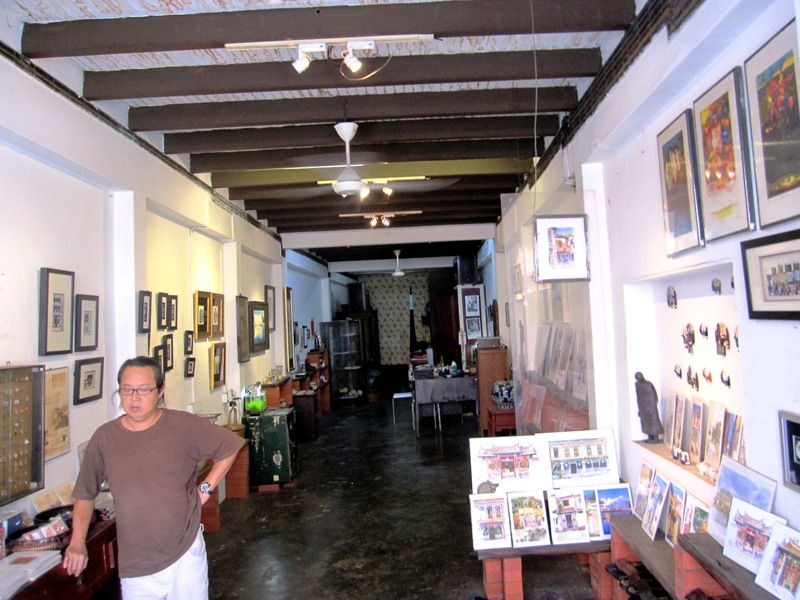 Looking through the walls of his artworks inside his gallery I was bitten by an artistic bug. I was easily mesmerized by the colors, artistry and intricacy of his work. It was like an out of body experience. 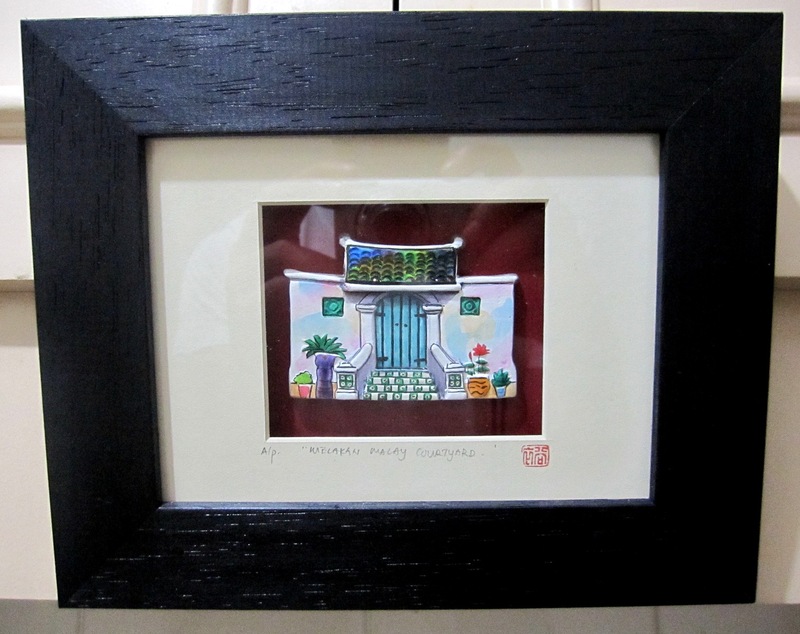 Though with a limited budget, I purchased myself one of his works mounted inside a stylish wooden frame. 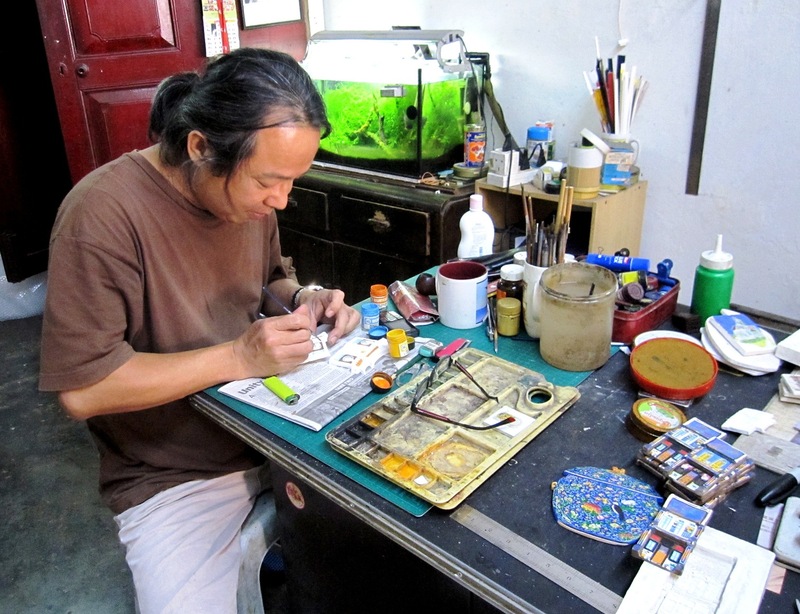 Mr. Ho was courteous enough to allow me to take his photo while he does his painting on one of his ceramic tiles. Good thing though, I asked for his name because when I stepped out of his shop there was no signage to fully document this artistic experience. Ma-pintahan nga ang mga tayls sa banyo! ← Dress Code in Heaven?